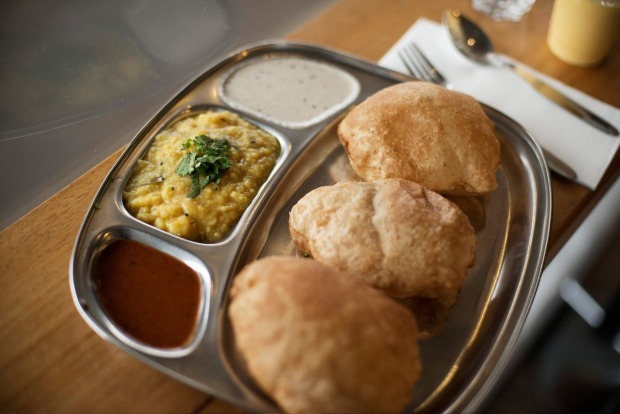 Nothing reflects Melbourne's lively multicultural vibe and global food scene like a list of the city's best and most affordable culinary pit stops. 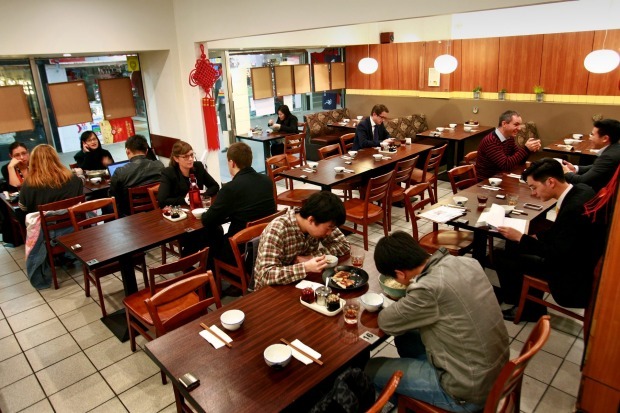 "Melburnians are eating out more than ever before" is not a throwaway comment. In Intermedia's annual Eating Out in Australia report last year, the average Victorian household spent $4896 on dining out. But break that down and it works out at $94 a household, a week. Unless you live alone, that's not going to get you very far, which is why much of that figure accounts for spend on fast food. But not all of it: our cheap eats scene is flourishing, as we discovered compiling this annual celebration of Melbourne's best. This year's list is a combination of golden oldies and new places where you can get in and out for $20 a head or less. Let's talk 2018 trends. It seems we've finally had enough of burgers, but stuffing restaurant-quality fare between or into bread is commonplace. Think fancy sandwiches, pita pockets and Chinese roujiamo. There have been high-impact international arrivals with brands like Miznon and Ippudo bringing their affordable goodness to our city. 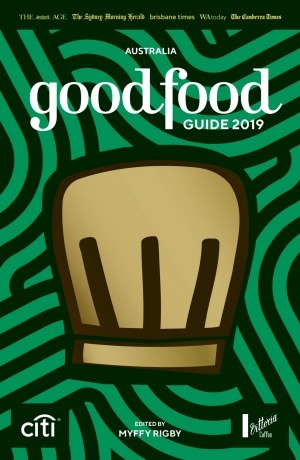 Big names and operators continue to expand into the lower-priced category, whether it's The European and Dainty Sichuan groups, Matt Wilkinson (RIP, Pope Joan) or Moroccan Soup Bar's Hana Assafiri. But the common thread between this cheap eats list and every other cannot be ignored: we have Australia's immigrant population to thank for most of our quality cheap eats, and what better way to thank them than to pay them a visit? If you find yourself hankering for a Creole salmon cutlet at 4.30 in the morning, head straight to the European Group's 24-hour Butcher's Diner. The diner, with its long orange laminate and timber bar and floor-to-ceiling glass meat stores, dishes up a consistent, quality menu of burgers, steaks, skewers and salads around the clock. During breakfast hours (6am-11am), items like an egg burger with house-cured bacon, tea cakes and cinnamon scrolls are also available. For drinks, there's filter coffee, craft beer tinnies, and wines by the half or whole bottle, although alcohol is only served until midnight. Cash only. When the original Co Thu Quan met a fiery end at Footscray's Little Saigon Market, only the Richmond store remained. This year it returned to Footscray. Along with pho, noodle soups range from the Vietnamese centre's fragrant beef and pork bun bo hue to the south's banh canh cua crab and tapioca noodle rendition. But the signature dish is com am phu – a claypot of fluffy rice sprinkled with candied pork mince and served with side dishes such as crunchy baby crabs, sticky pork belly, omelette and pickled vegetables. You won't find it anywhere else. 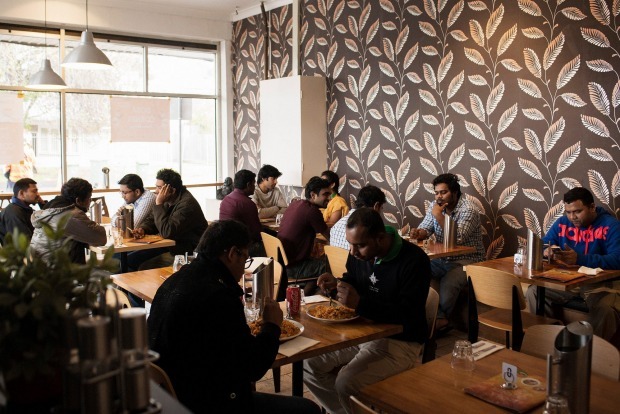 Along Barkly Street, Footscray, Indian restaurants compete with each other touting $1 dosa – thin, savoury crepes made from fermented rice flour hailing from southern India. Our pick is Dosa Corner, where a plain dosa with sambar and chutneys costs $1, but we prefer the masala version filled with spiced potato. For a couple of dollars extra, up-size to a dosa so big it's served folded back on itself. There's an extensive menu of Indian snacks such as idli and vada, but our pick is biryani with chunks of "chicken 65", a popular street snack. Beside a Uni Lodge down a lane running parallel to Lygon Street is one of the best noodle soup spots in Melbourne. Hi Chong Qing specialises in chongqing noodles from the Chinese city of the same name. It was formerly part of the Sichuan province, which explains the warming hum of Sichuan pepper in the broth, slurped up with thin, handmade wheat noodles. There are four other dishes available, including three kinds of beef noodle soup and another with sweet pork mince and a splash of soup. Does Ippudo do the best ramen in Melbourne? If its queues are anything to go by, it's at least in with a shot at the title. 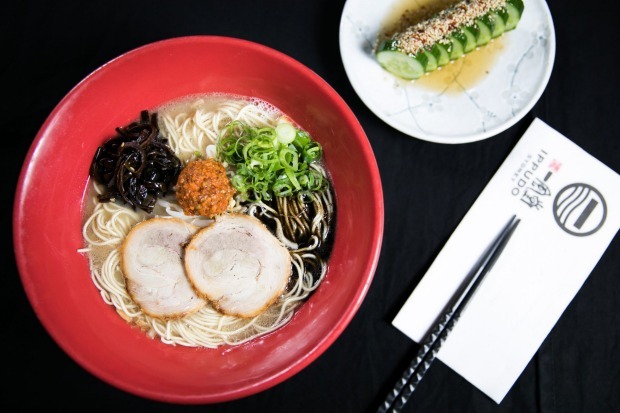 The Japanese ramen chain opened its first CBD outpost in April and crowds have flocked for its rich, creamy signature tonkotsu ramen with firm house-made noodles ever since. Fortunately, with 100 seats and rapid service, the line moves quite quickly. Attica's Ben Shewry calls Kalimera's souvlaki one of the great dishes of Melbourne. 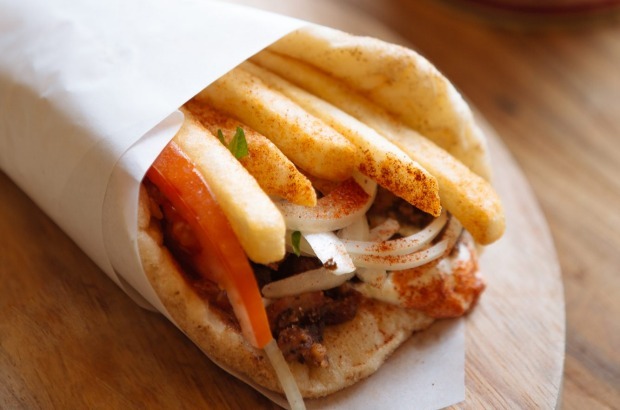 At just $9, the chargrilled-pita-wrapped souvlaki with juicy spit-roasted pork (or chicken), house-made tzatziki, onion, tomato and a couple of chips represents the best value. If you're extra hungry, the gyros platter, a deconstructed souvlaki served in a metal tray with loads of chips, is still very affordable at $20. With everything from the salads to the dips made in-house, and fresh meat wrapped around the spit daily, Kalimera is as far removed from your typical kebab joint as it's possible to be. Those who don't pop in for a takeaway sandwich at Kelso's linger on raised stools that hug the perimeter of the cozy space, perched in the window, at the counter and along walls adorned with framed magazine pages of '50s sandwich ads. Bottomless filter coffee for $3.50 might have something to do with it, but an even stronger draw is the range of sandwiches, melts and burgers with house-made pickles. Sandwiches are steeped in nostalgia. Think tuna melt, corned beef, smashed pea and grilled cheese – the latter also available in a vegan-friendly version. 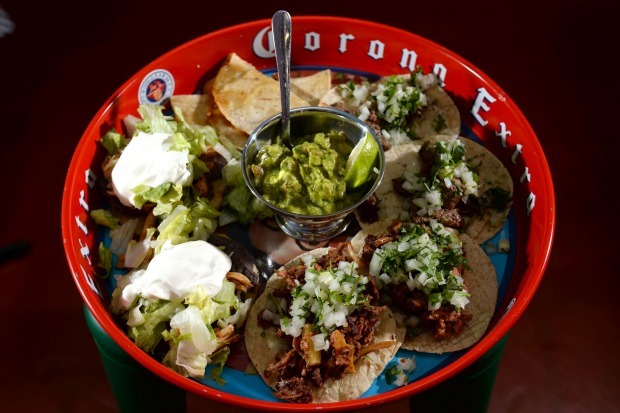 With its brightly painted walls and food served on plastic Corona trays, this Mexican restaurant stands out in Kensington's industrial backstreets. Walk past the windowed kitchen and shelves of Mexican pantry staples to find the main dining area. La Tortilleria supplies tortillas to many of Australia's restaurants and cafes, so you know they're good. Tacos range from al pastor (pork and pineapple) to cachete (slow-cooked beef cheeks with green tomatillo salsa), and there are also tostadas, quesadillas and plates from the grill. On Tuesdays any three tacos are $12. 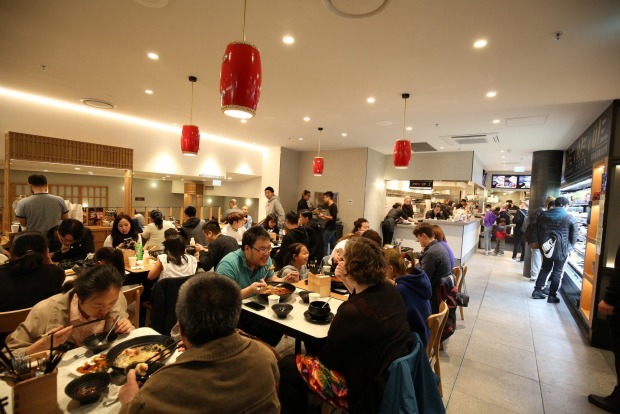 Part of the Dainty Sichuan Group, this hotpot concept in Box Hill Shopping Centre involves filling a stainless steel bowl with ingredients from shelves of trays, picking one of five broths at the counter and paying by weight ($3.28 for 100 grams). You'll need both hands to count the tofu varieties, and there are plenty of noodles, vegetables, sliced meats, offal and seafood. Keep the price down by avoiding weighty ingredients such as corn, or share one large soup and snacky side dishes like fried pork buns and roujiamo (Chinese hamburgers). The humble toastie is having a moment and no one has elevated this student staple quite like Anthony Femia, Prahran Market's resident cheesemonger. 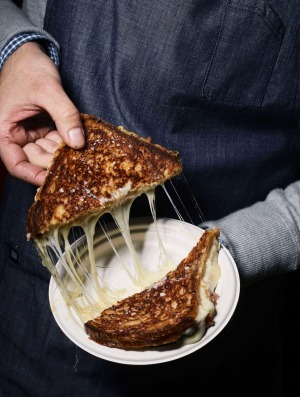 Femia uses grated Vermont cheddar and thick, crunchy sourdough to make the All American Grilled Cheese. 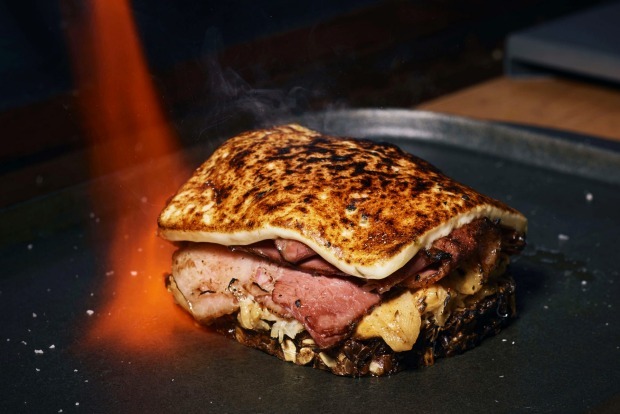 The fondue version is stuffed with shaved gruyere and comte and brushed with white wine; and the flaming Reuben comes loaded with wagyu pastrami from award-winning butcher Gary McBean, another market stallholder. At the moment, Femia slings his sangas from a refurbished cheese cart, although come September he'll have upgraded to permanent quarters inside the market. Inside this bright, cavernous Fitzroy warehouse, Mile End owners Michael Fee and Benjamin Vaughn are rolling some of the best bagels in town. Their bagels are Montreal-style, which means the dough is shaped and boiled in honeyed water for extra sweetness before it sees the inside of the custom-built wood oven. They get a final dusting of cinnamon, sesame, poppy or "everything" seeds before the bagels are put on display, or sliced and filled with things like smoked salmon and a schmear of cream cheese, and smoked beef and sauerkraut. The coffee is great, too. Michelin-starred Israeli chef Eyal Shani's food looks and eats street, but there's some serious technique behind the contents of those pita pockets. 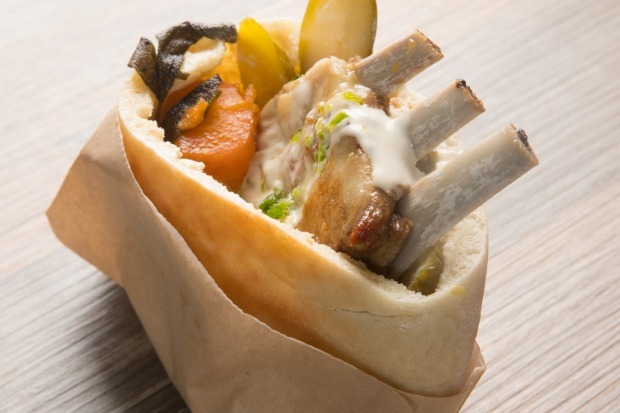 Take the pita with a bone, stuffed with tender lamb ribs, nutty tahini, pickles, onion and chilli. Or the ratatouille, filled with a rich vegetable stew and boiled egg. And beyond pita? Try the whole cauliflower, massaged in oil and roasted until soft or the famous bag of beans. Melbourne was the sixth city in the world to get a Miznon, and, a year after opening, this Hardware Lane pita party is as popular as ever. 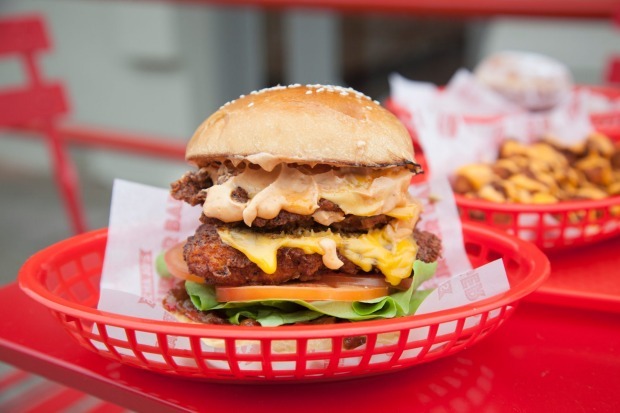 Owner Christo Christophidis slings American-style burgers from two locations: the original MJ's Burger Bar, attached to his flagship Mocha Jo's restaurant in Glen Waverley, and from the newer, pint-sized iteration near Ripponlea station. 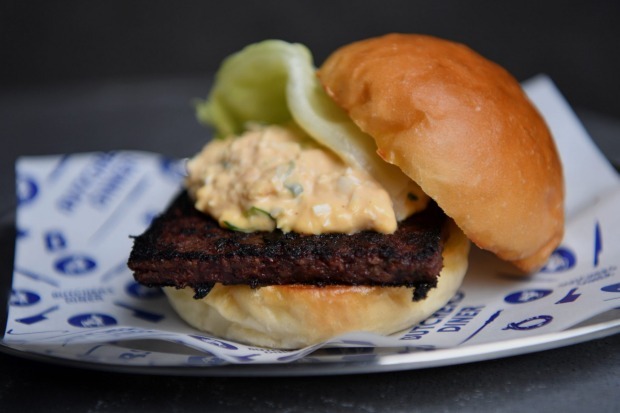 At both, beef patties are made from grain-fed wagyu, and all burgers are served on fluffy milk buns. All up, there are 14 to choose from (including some decent vegetarian and vegan options), a bunch of sides (with the option to load them with cheese, sauces or pickles) and sweets (including a waffle sandwich with toasted marshmallows and Nutella), plus thickshakes, sodas and basic beers. Instantly recognisable by the photos of dishes plastered in the front window – or a queue of Koreans craving a taste of home – what this no-frills restaurant lacks in decor it makes up for with its menu. Complimentary kimchi kicks things off, while entrees like Korean pancakes and tteokbokki (chewy cylinders of stir-fried rice cake, fish cake and a hardboiled egg in gochujang chilli paste) are generous and filling. Order noodle soups and rice dishes for mains (about $15), or take the lead of the international students and try fried chicken with melted cheese. BYO wine. The verbal menu at the new takeaway-only arm of Hana Assafiri's Moroccan Soup Bar is largely the same as at the original, although here, in lieu of the full banquet, you can get a generous pack with rice and cous cous dishes, lentil dhal, salad, pickles and the famous chickpea bake for $12.50. If you BYO takeaway container, you'll save an extra $2, too. 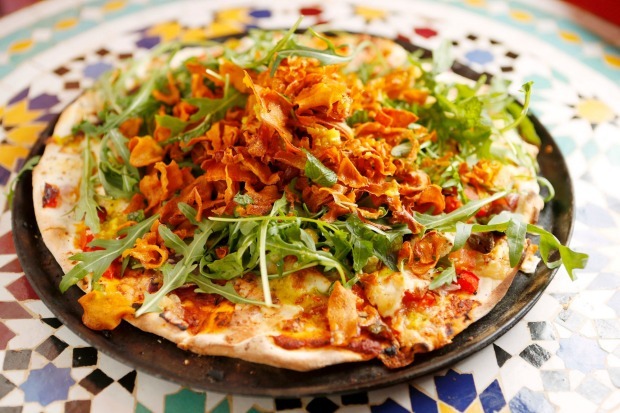 Two Go also serves flatbread-based "marrakizzas" (Moroccan pizzas). It's open for lunch and dinner six days, and takes orders (for pick-up) online. 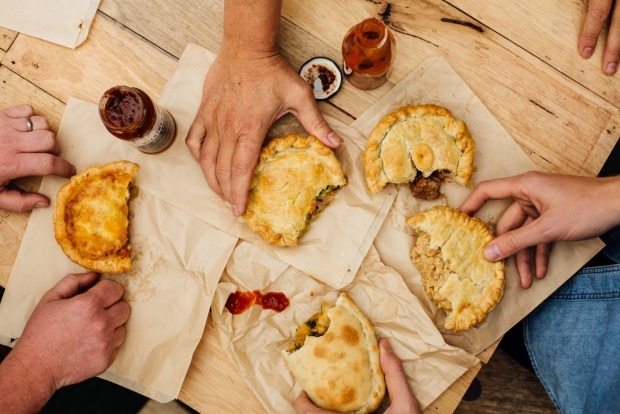 Fans of Brunswick East landmark Pope Joan will be relieved to know that while the cafe closed to make way for apartments, chef Matt Wilkinson's adjoining Pie Shop is still very much in business. Alongside the familiar chunky beef and veg pies, there's the Bruce, with a spag bol filling, and the cauliflower-and-cheese-stuffed Shazza, which even meat-lovers will be hard-pressed to turn down. Breakfast pies are served from 8am to 11am, and sweet ones filled with the likes of apple; strawberry and balsamic; or honey and buttermilk are on all day. 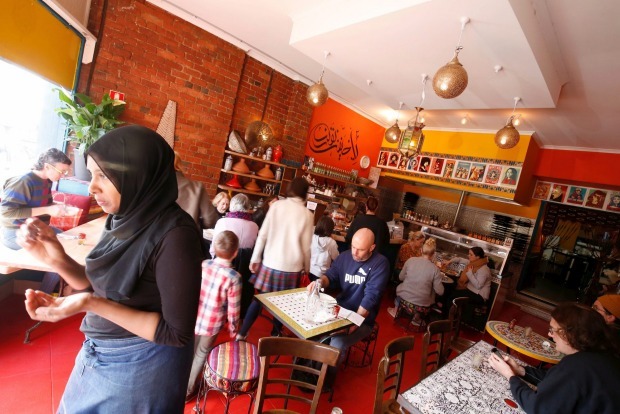 In 2018, Ras Dashen's owners sold their Ethiopian restaurant in Nicholson Street and opened a bigger, brighter version in the thick of the action on Barkly Street. It's never been better. Order tibs (grilled) and wot (stewed), perhaps mild and buttery beef, lamb or spiced lentils. It arrives on a large plate with spongy, sour injera bread and Lebanese flatbread. There's cutlery if you need, but it's more fun to use the bread as a scoop. Bottled Ethiopian beer is $5 to $6 and punchy ginger tea will cure whatever ails you. 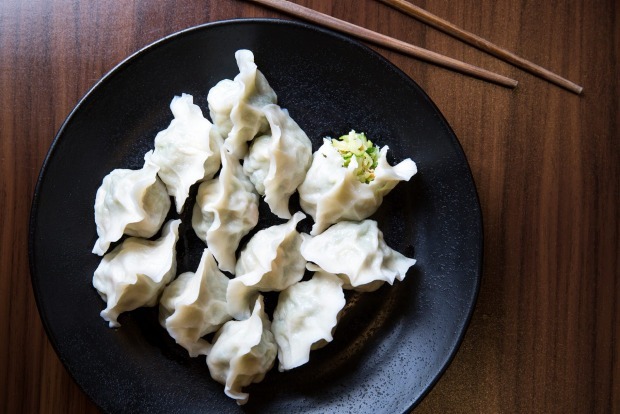 A visit to Meiyan "Mama" Wang's no-frills Chinese restaurant isn't complete without a serve of her boiled mackerel dumplings. Packed with an ethereal fish mousse, ginger and herbs, they're unlike anything else you'll find in the city. The boiled vegan dumplings – delicate parcels of zucchini, tofu, coriander and ginger – are also an essential order, enchanting enough to convert even hardened carnivores. 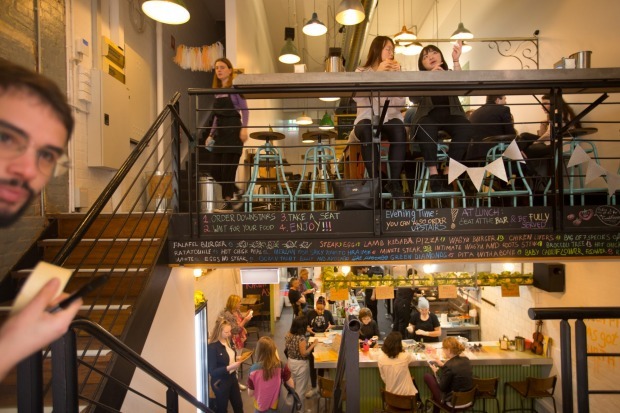 Tucked down MidCity arcade, Mama's no-bookings diner is brightly lit and fitted out simply. Service can be slow, but that doesn't deter the multitudes who've made Mama's table their own. 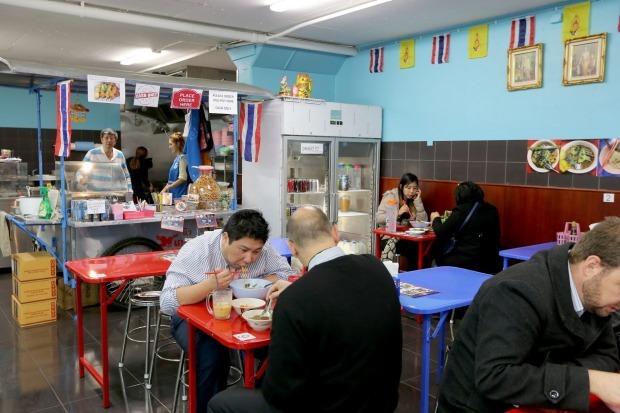 Melbourne's worst-kept secret, Soi 38 specialises in Thai street-style boat noodles. From its spot inside a city car park, it delivers a tick-box menu of half-a-dozen types of noodle as well as three levels of aromatic soup (full, half or dry). The setting transports city lunchers to a Bangkok side street with colourful metal tables, bright blue walls and plastic condiment holders. 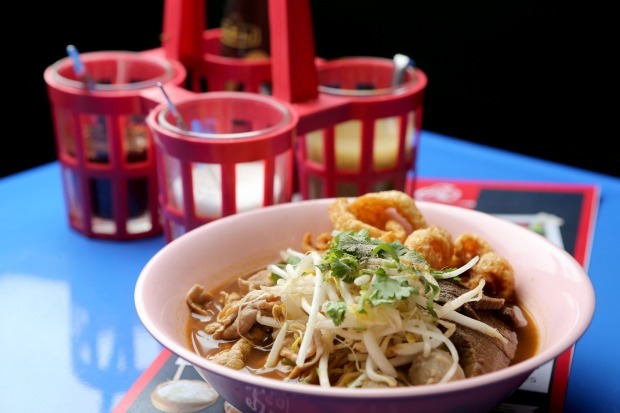 Tom yum noodle soup, laksa and braised duck soup with egg noodles ($15) are also available. 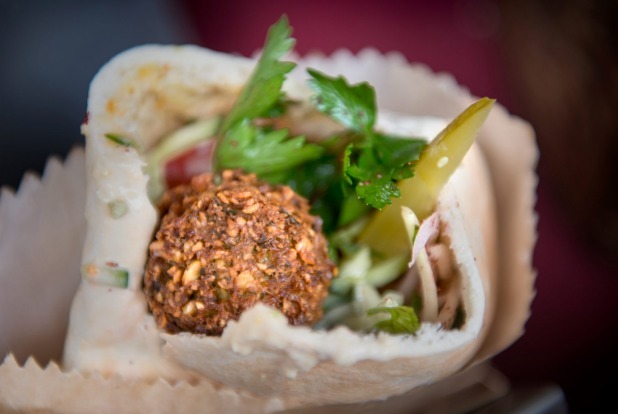 In the Melbourne falafel wars, VFG reigns supreme. 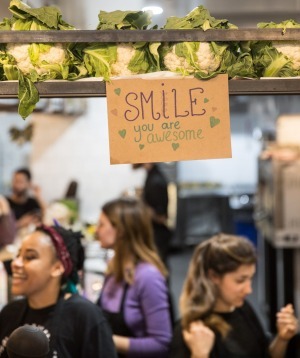 Shuki Rosenboim and Louisa Allan started out selling their dips and wraps at farmers' markets, opening their cafe in Sydney Road in 2016. The falafels – crunchy and deeply golden outside, chunky and green from herbs in the middle – come from chickpeas grown on the Allan family farm. Order them in a pillowy pita or with a plate of seasonal salads. Sabih (deep-fried eggplant and potato) and ktzizot (flattened Israeli lamb meatballs) are also available.